Andrew Weaver has released the results of sediment testing he did in and around Shawnigan Creek, beneath the SIA site. These results raise a number of new, and very significant questions. 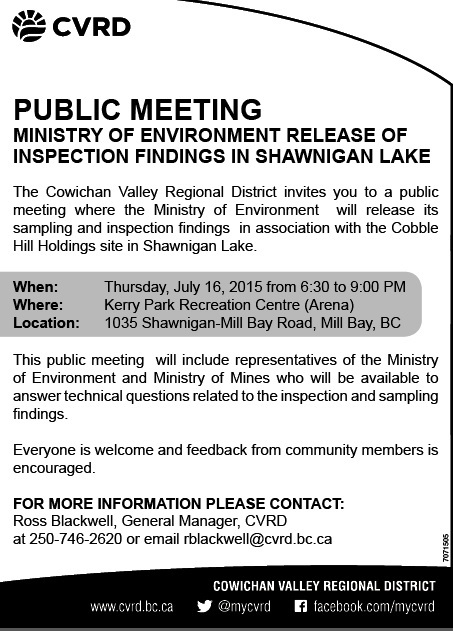 Please attend the Public Meeting this Thursday at Kerry Park Arena. 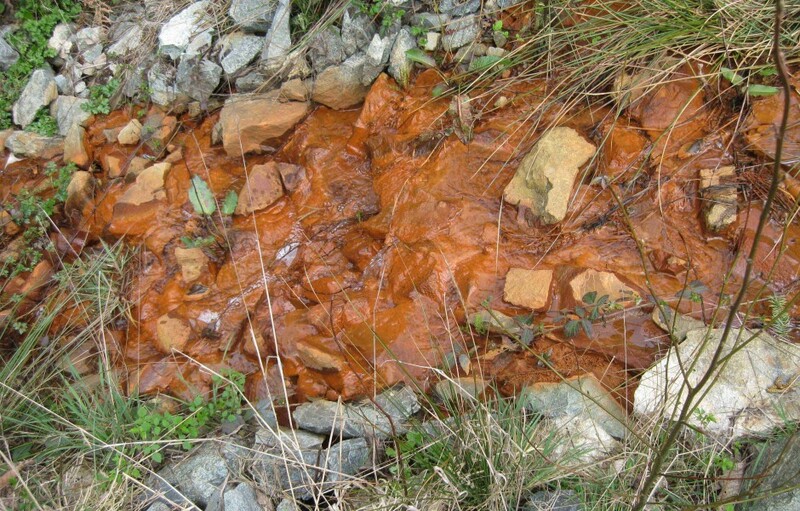 Staff from the Ministry of Environment and the Ministry of Mines will be on hand to present the findings of their investigations at the SIA site, and to answer questions. This is an opportunity for us as a community to demonstrate the depth of our knowledge and the force of our convictions. I strongly encourage everybody to come with effective, informed, thought-provoking questions. There is a lot of information on this issue on the SRA website (thesra.ca) and on this site (soniafurstenau.ca/save-shawnigan-water/ & soniafurstenau.ca/historical-documents-re-sia/). We are in a severe drought on Vancouver Island, with a high risk of fire and water shortages. Please do everything you can to conserve water. 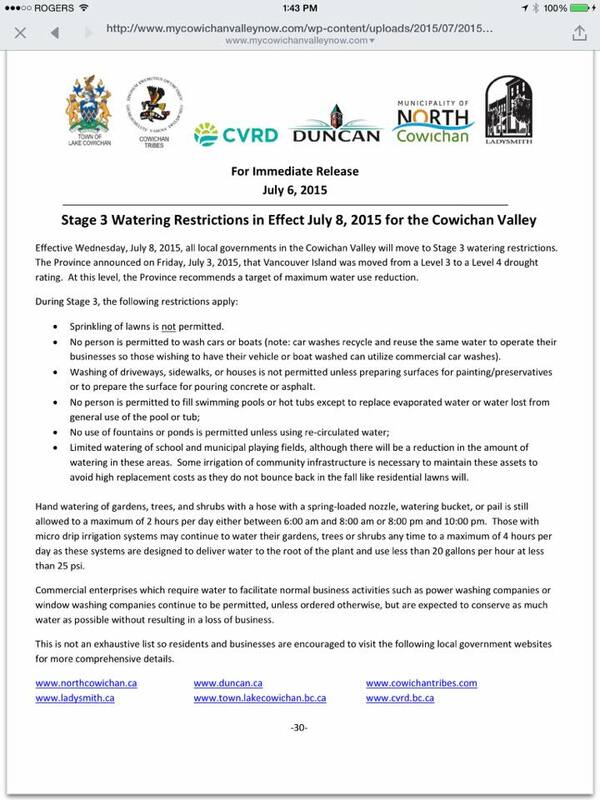 As of July 8th, all of the Cowichan Valley is in Stage 3 Watering restrictions. It is important to stay informed about wildfire activity, and to be prepared for emergencies. Stay safe and stay informed. The haze in the air is from predominantly 2 separate wild fires on Vancouver Island, one N/W of Port Alberni the other near port Hardy. 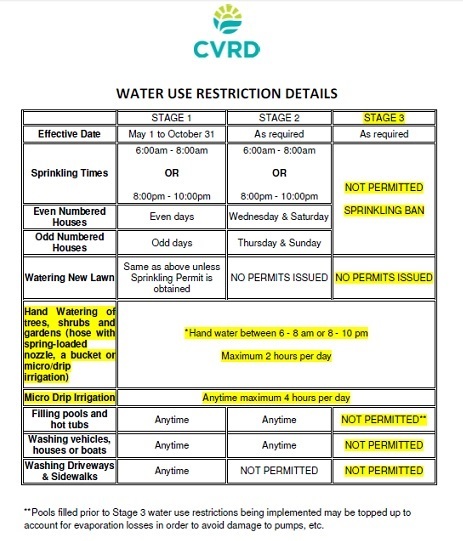 We have placed alerts and updates on our CVRD webpage with links to additional information. All media and public information outlets are also highlighting the fires. Local and regional radio broadcasts are ongoing.